I call BS on this study — based on the number of “thumbs down” for the article! It’s no longer taboo to have a tattoo. 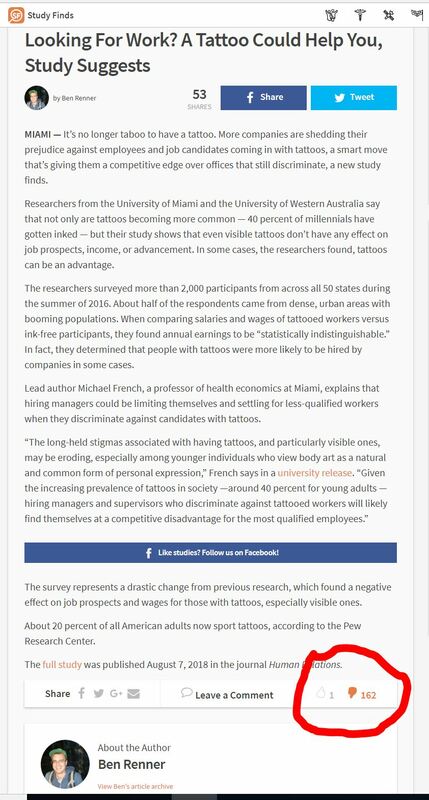 More companies are shedding their prejudice against employees and job candidates coming in with tattoos, a smart move that’s giving them a competitive edge over offices that still discriminate, a new study finds.